Continuing a partnership with the Sofia Meetings at the Sofia International Film Festival, in March Europa Distribution organises a workshop on improving negotiation skills to best acquire, sell and promote films. 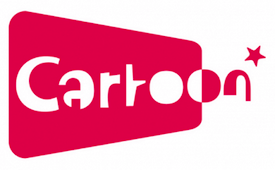 In partnership with the Cartoon Event, taking place in Bordeaux, Europa Distribution organises in March a workshop focused on animation where distributors can exchange experiences and information about their releases of different animation films and compare the various strategies adopted on the same title and the different outcomes on different territories. As part of its annual conference, Europa Distribution organised in 2018 an Open Showcase session and a Private Workshop, both dedicated to the exploration of the ways films can be perceived from their scripts and of the elements that are essential to evaluate their potential. In partnership with New Nordic Film, Europa Distribution organizes on open panel dedicated to the strategies built by distributors from very different countries to promote Nordic films. Entitled “Which way to Valhalla? The circulation and promotion of Nordic Films in Europe”, the last event took place in Haugesund on 23 August 2018. In the framework of the San Sebastian International Film Festival, Europa Distribution organized in September an Open Panel to invite representatives of different parts of the value chain to discuss about the existing models and new ideas that can help films to circulate after the theatrical window. ED members also participated to two closed sessions sharing their experience regarding the exploitation of catalogue titles through the analysis of concrete examples and case studies. Within the framework of its annual conference, Europa Distribution, in partnership with the MIA, will organise on Saturday 20 October 2018 a panel about Blockchain and its application to the distribution of films. Landing for the first time at the IDFA, Europa Distribution on November 19th made full house organizing -in partnership with the Festival’s Industry Talk programme- a public panel dedicated to the potential of documentaries when it comes to theatrical release. Is there an “X factor” that makes a documentary especially suitable for theatrical distribution? ED members continued the conversation about documentary distribution during a close workshop, sharing information about their recent releases.